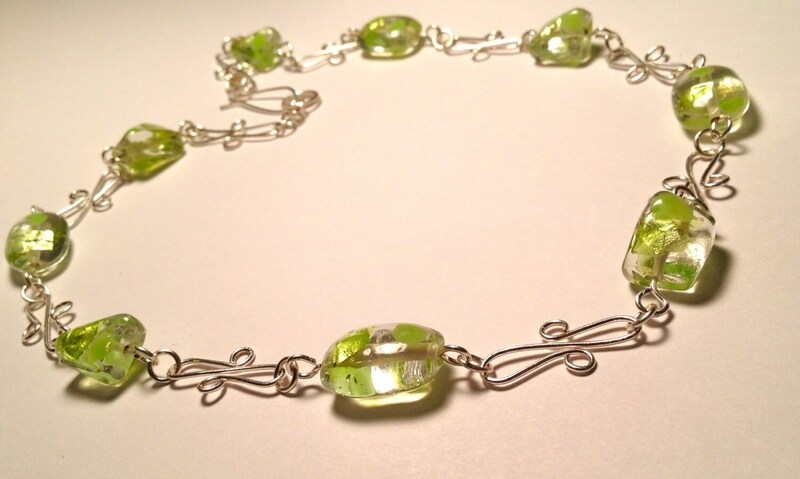 Necklace with silver plated wire work and shimmering and solid green flakes clear beads. 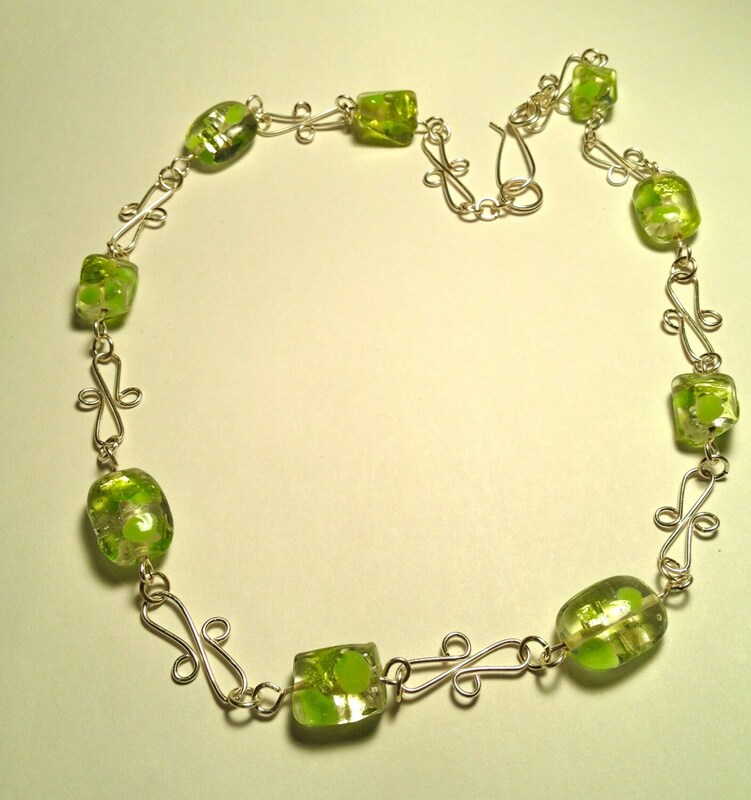 This necklace has a neckline of about 24" long. 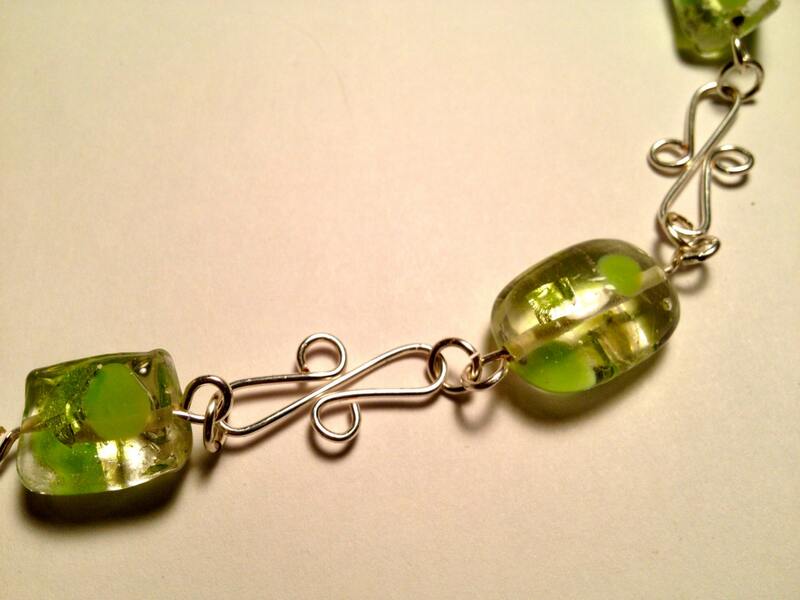 This necklace is finished with a silver plated hook clasp.